Draw a nice bath and pick up a relaxing book. 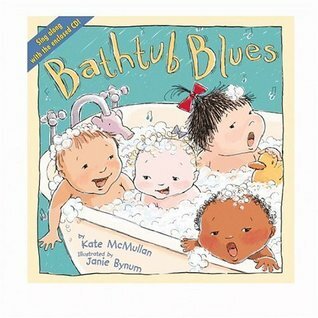 Or in the case of young children and picture books, maybe a funny bathtub book read in a dry environment would work best. Try one of these. First it’s important to know what not to do… leaving a banana trail does not work, neither does tying a rope around his belly, and neither does bringing another gorilla in to play with him. You should not turn on the water, order a larger bathtub, or take a two-week vacation. If you need to get a gorilla out of your bathtub, you simply need to ask him politely. Ten rock-a-baby rockers sing a song. Sandy babies need to scrub. Dirty babies jump in the tub. Stinky babies splash in the tub. Sudsy babies soap up as they sing. Ten little babies do it all again. This is the 1986 Caldecott Honor Book winner. King Bidgood’s in the bathtub and he won’t get out! The Page calls in all the most important people in the kingdom, but no one can get King Bidgood out of the tub. The Knight gave the battle cry, but King Bidgood insisted that they battle in the tub. The Queen called for lunch, but King Bidgood ordered lunch in the tub. 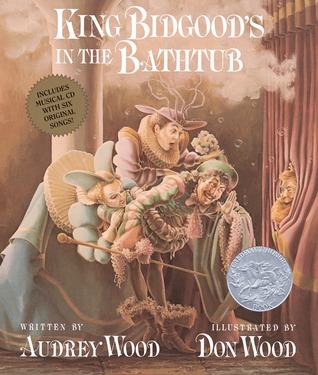 The Duke invited the King to fish, but King Bidgood fished in the tub. The Court announced the Masquerade Ball, but King Bidgood danced in the tub. Finally, after a very long day of hauling hot water to the king’s bathtub, the Page pulled the plug… and King Bidgood got out of the tub! What a great round-up! I have always loved _King Bidgood_! Thanks Jane! I love Don and Audrey Woods’ books too. King Bidgood, Silly Sally, Heckedy Peg, … the list goes on! Oh yes! And with the rain we’re getting today, it’s a perfect choice!